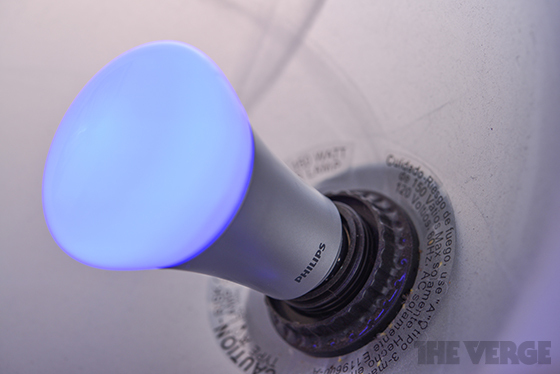 Best of technology stuff: Smart bulbs: how many features does it take to screw in an LED light bulb? 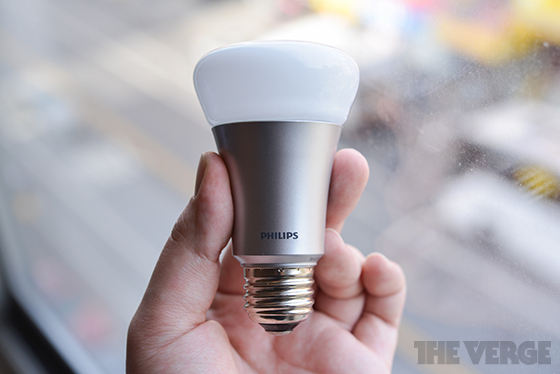 Smart bulbs: how many features does it take to screw in an LED light bulb? Thomas Edison reportedly tried 3,000 different ideas for the light bulb before he found one that would sell. Over a century later, his winning formula is rapidly falling out of favor.Much of the world has decided to ban inefficient incandescent light bulbs, or at least drive them out of the market using minimum efficiency standards. When existing bulbs burn out, consumers will have to choose between halogen, CFL, or LED alternatives. In many ways, LEDs seem like the best bet: they're generally more efficient, last longer, turn on faster, fit more places, and produce better quality of light than their fluorescent counterparts. One tiny problem: While you can find nice, bright incandescents as cheap as $0.25 per bulb at your local hardware store, and CFLs around $1.25 a pop, LED light bulbs currently start at around $20 each for a 60-watt equivalent. Ouch. And when you factor in that LEDs aren't that much more efficient than CFLs — the US Department of Energy estimates $1.00 to run an Energy Star-certfied LED bulb for two hours a day each year, compared to $1.20 a year for an equivalent CFL — it's really hard to justify outfitting your home with LEDs right now. But what if you got more for your money than a globe that simply lights up? That's the premise of the smart bulb. At its most basic, a smart bulb is simply a light bulb that's part of a computer network, with its own IP address. When you press a button, it sends a signal to the bulb that turns it on or off, or dims it to a particular brightness level. WHAT IF YOU GOT MORE FOR YOUR MONEY THAN A BULB THAT SIMPLY LIGHTS UP? That might not sound like much of an improvement over a traditional bulb, but now imagine that every single bulb in your home is network-controlled. You could turn off all of them at once, or just in particular rooms. You could control them with a tablet or smartphone, even when you're not at home. You could set them to run on schedules, automatically turning off when you're in bed and then slowly, gently waking you up again in the morning. With multi-color LEDs, you could set them to any color you want for mood lighting, parties, or even to aid in photography. Believe it or not, all of that is possible right now with the first wave of smart bulbs. Philips, Insteon and GreenWave Reality are all shipping kits that can interface wirelessly with an iPhone or iPad. These systems use standard mesh networking technology, so they don't all need to be near the router: each bulb communicates wirelessly with the others around it. In fact, the systems support some standard protocols, like Zigbee and Z-Wave, so they can be integrated into existing home automation systems. Again, these bulbs aren't cheap — the color-changing Philips Hue costs $199.99 for a three-bulb kit, and plain white Insteon bulbs run $29.99 each — but they're designed to be as easy to use as possible. "If you can screw in a bulb, you can use our system," GreenWave Reality CEO Greg Memo told us. To put that statement to the test and see just how far LED light bulbs have come, we tried out both the Philips Hue and GreenWave Reality light bulbs in our own homes. Basic setup is easy, that's for sure. You just screw in the bulbs, plug a little wireless base station into your home network, fire up an app from the App Store (Philips has a beta on Android) and technology does the rest. 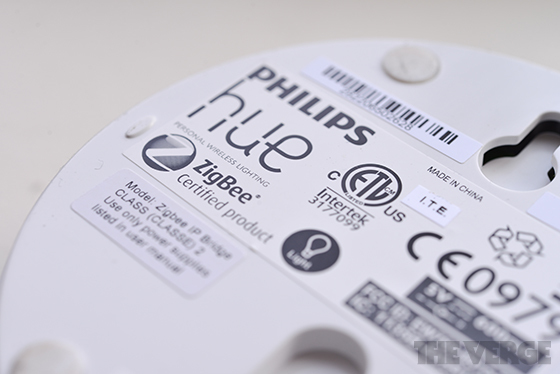 The bulbs come pre-paired to their base stations, so you don't need to sync them up. If you buy additional bulbs you simply screw them in, turn them on and press a sync button on the router to add them to your collection. The first thing that takes some getting used to is that you can't really use your physical light switches to turn smart bulbs on and off. Because there are computer chips inside the bulbs, you need to keep a small amount of power flowing at all times if you want them to stay smart. If you do use the physical switch, they will turn on and off, but only to a default state, and you disrupt the cool things they could be doing. GreenWave and Insteon both sell simple remote controls you can use, but for Philips your only option is to whip out your smartphone. That might sound cool, but it's much slower than flipping a switch on the wall, and gets really old, really fast when you walk into a dark room. Even with the smartphone apps, though, controlling the bulbs can be a bit of a chore. GreenWave takes a fairly utilitarian approach, giving you direct control over each bulb and its brightness level from the app's main screen. You can also group them into "rooms" so you can toggle and dim several all at once, and the app creates one for you by default. To do anything else, though, like scheduling timers and controlling multiple rooms, you need to make a "smart control," a process that isn't very self-explanatory. The biggest problem is a lack of responsiveness, though. Often there was a major delay between the time I pressed a button and the time the bulb reacted, and sometimes the app stopped responding altogether. I had similar difficulties getting the physical remote control to stay connected. We didn't have that last problem with Philips' app, but it also wasn't very quick or easy to use. Here, individual bulb toggles are in a hidden menu at the bottom of the screen, and there's no switch to turn them all on at once. Instead, Philips ropes you into building a "scene" first. Here, you get a full Photoshop-like color picker to make the bulbs just about any color you like, or simply change the color temperature to be warmer like a traditional yellow incandescent, cooler like a traditional blue fluorescent light source, or a nice neutral white if you want. 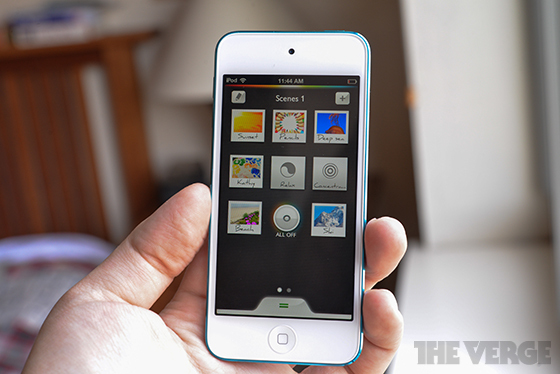 You can also use an eyedropper tool to pick colors directly from your favorite photos. A NEAT PARTY TRICK It's a neat party trick, but not nearly as useful as turning on the lights in a room when you need them. Another thing to know generally is that these smart LED bulbs might not be as bright as you'd hope. Even a cheap 25-cent incandescent produces 860 lumens of brightness at 60 watts, and a $1.25, 14-watt fluorescent manages about the same at 900 lumens. By contrast, the $60 Philips, $30 Insteon and (estimated) $20-30 GreenWave bulbs use just 8.5 watts, 8 watts and 10 watts respectively, but only put out 600 lumens, 448 lumens, and 470 lumens at maximum strength. They make good reading lights, but aren't suited for everything. Lastly, there's the trouble of how to expand your smart bulb system as your lighting needs grow. Though all these smart bulbs connect with standard mesh network technology, none of them are compatible with one another. Philips uses ZigBee Light Link, GreenWave uses NXP JenNet-IP, and Insteon seems to have its own. Japan's Fujikom showed us an impressive smart bulb in January that uses Z-Wave. Both Philips and GreenWave say that they look forward to broad compatibility and plan to make software APIs available, but for now there doesn't seem to be a concerted effort to have a unified standard that's friendly to consumers. Clearly, this first wave of smart bulbs has a long way to go, much like LED lighting itself, but it's also clear that there a lot of potential in the idea. If companies can work out the standards differences, build intuitive controls and compelling use cases, this could still go somewhere. Just take a look at the ideas behind the LIFX, a Kickstarter project for a smart bulb. Above and beyond scheduled dimming and mood lighting, the founder imagines that the bulbs could change color in time to your music, or flash when you get a notification on your smartphone. GreenWave Reality told us about a potential "away mode" for its bulbs where your house would always have a single bulb burning, but it would rotate from time to time, providing the illusion of a person at home to deter would-be robbers. Imagine when bulbs can report back on their energy consumption, or automatically adjust themselves to ambient light, or turn on when you walk into a room. Spark Devices, a startup building a smart light bulb socket — rather than an actual light bulb — imagines an app ecosystem that could add features we haven't thought of yet. Google has shown interest in the past, too, with the rarely-discussed Android@Home, famously showing off a smart bulb with Lighting Science at Google I/O last year. While Google wouldn't comment just yet, Lighting Science told us that it's still working with Google on "exciting things." LED light bulbs seem like they're here to stay, as pricey as they are right now, and their solid state circuits are designed to last as long as twenty years before needing to be swapped out. With that kind of lifetime and these kinds of prices, it doesn't cost much more to make a bulb smart as well. The time is ripe for manufacturers to get together and hash out technology compelling enough to make them worthwhile... before the last of Edison's inefficient incandescents burn out. Dante D'Orazio contributed to this report.